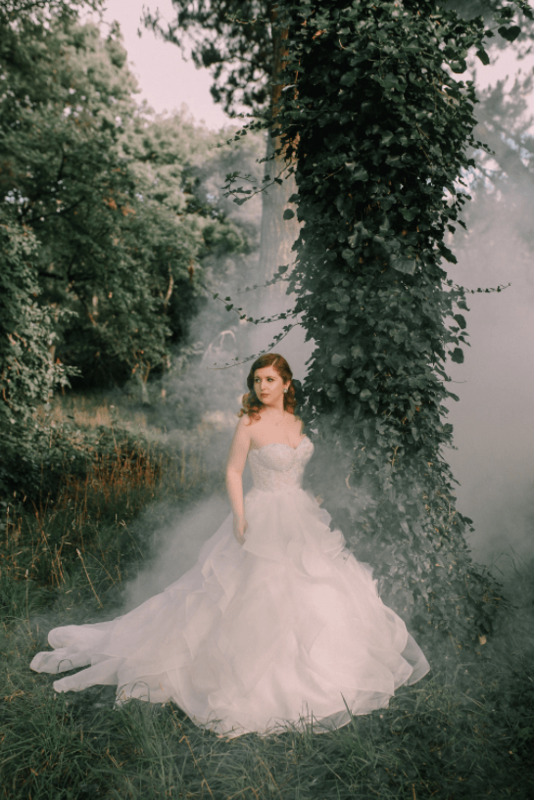 Looking for creative wedding themes? Keep reading our blog, it’s full of interesting ideas! 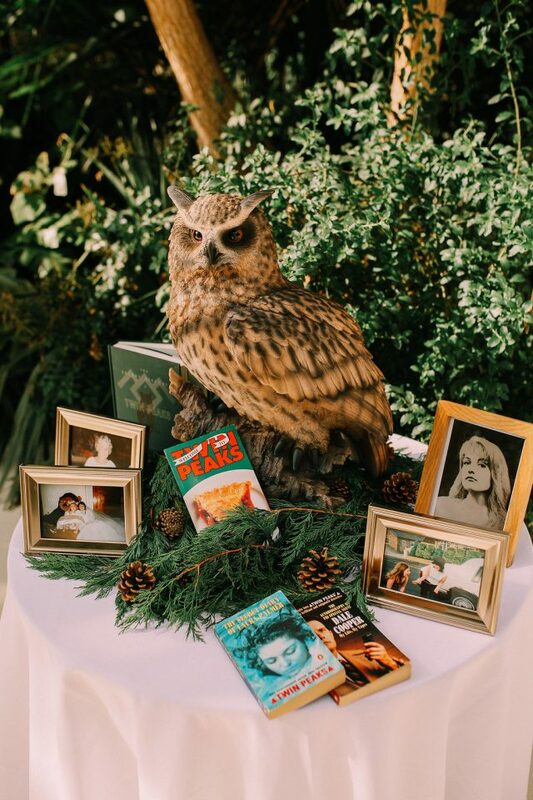 Today we are sharing a Twin Peaks inspired wedding with a £17,000 budget and a ton of amazing ideas. Ready to see all these amazing things? 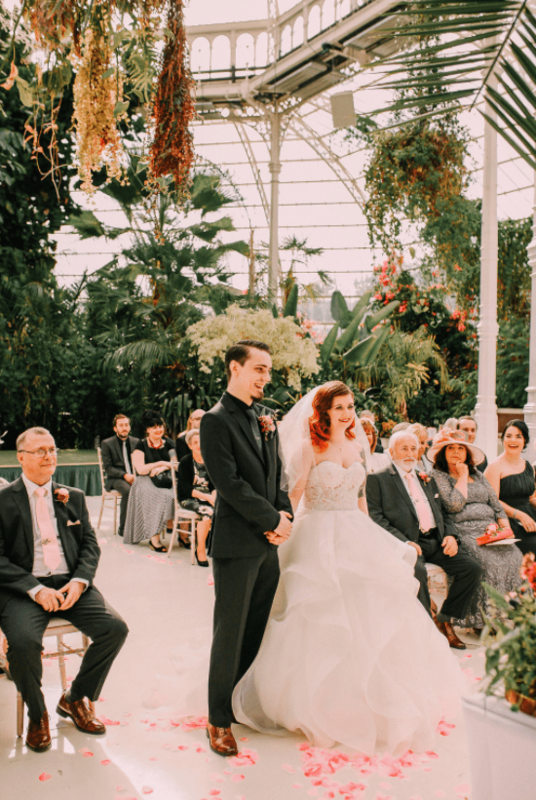 The couple decided that their wedding should be full of references and features from the show, without being naff and they also wanted the guests who didn’t see the show to get it. Everything about this day was special, there was a quirky sense of humor and style, surreal and traditional things went hand in hand. The bride was wearing a ballgown wedding dress with a strapless sweetheart neckline, a heavily embellished bodice and a full ruffled skirt. 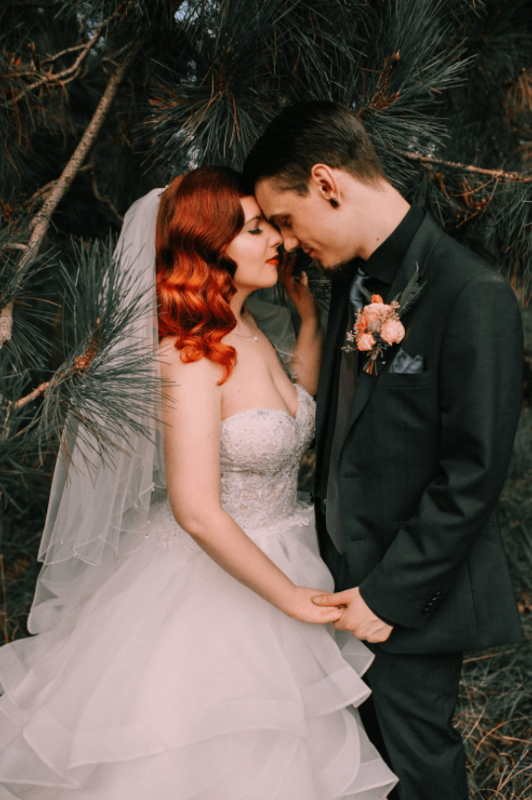 She was rocking red hair with fiery orange balayage and a red lip – so bold and amazing! The groom was wearing a black suit with a black shirt and tie, only a bold boutonniere was a colorful spot. 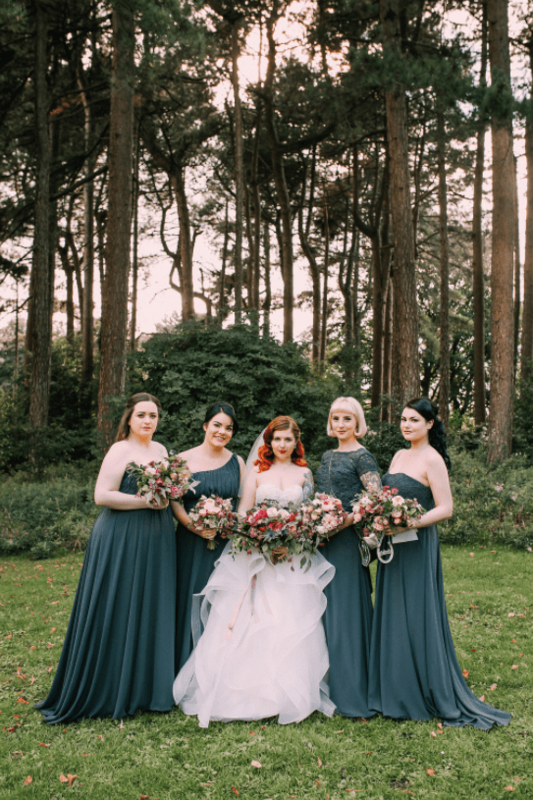 The bridesmaids were rocking mismatched graphite grey gowns. 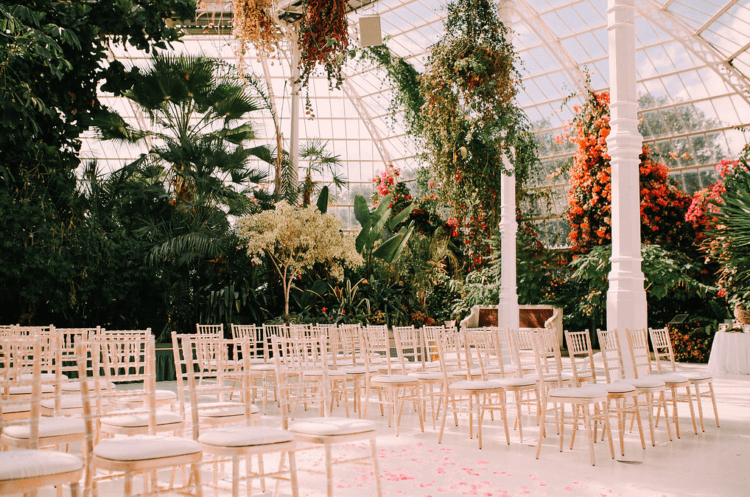 The ceremony took place in a beautiful Victorian palm house in Liverpool. There were only 60 guests and the ceremony was unplugged. All the music playing through the ceremony was from different David Lynch films and shows. 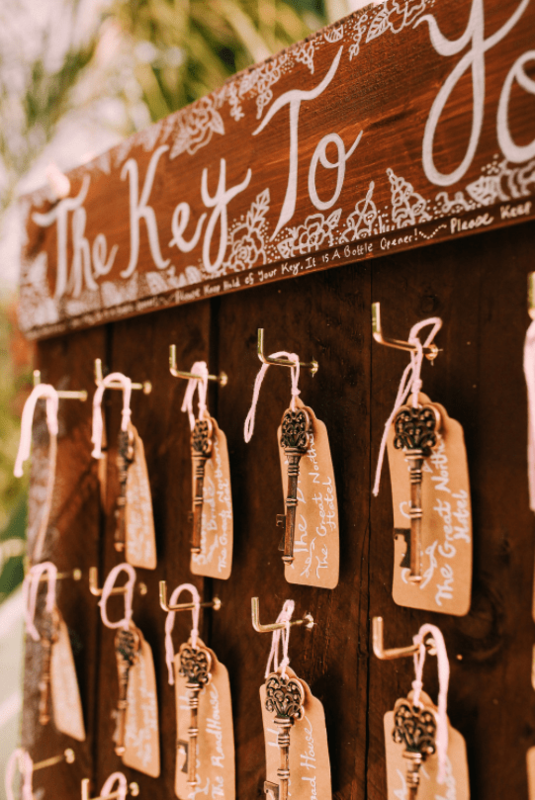 Almost the entire wedding was a DIY project from start to finish: the bride made all the props, the guestbook, itineraries, menus and invitations. 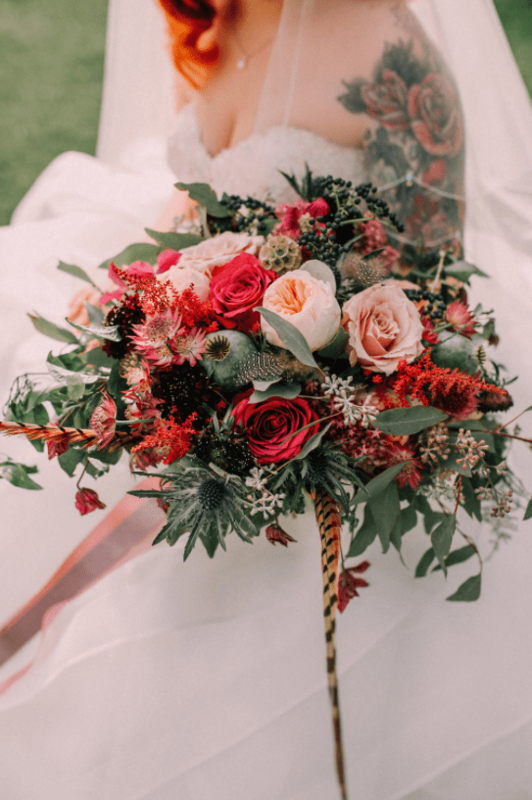 The florals were lush and bold: lots of greenery and pink and red blooms looked amazing. 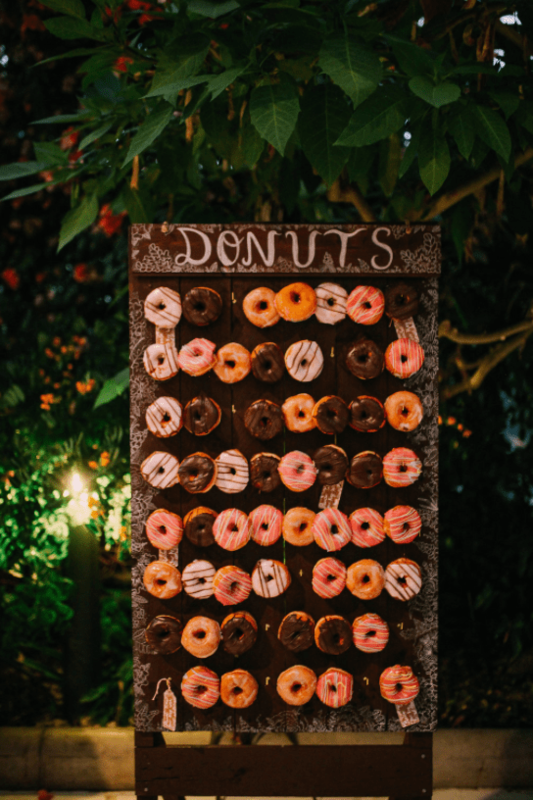 Instead of a usual wedding cake, the couple opted for a cool donut wall, which is a hot trend now. 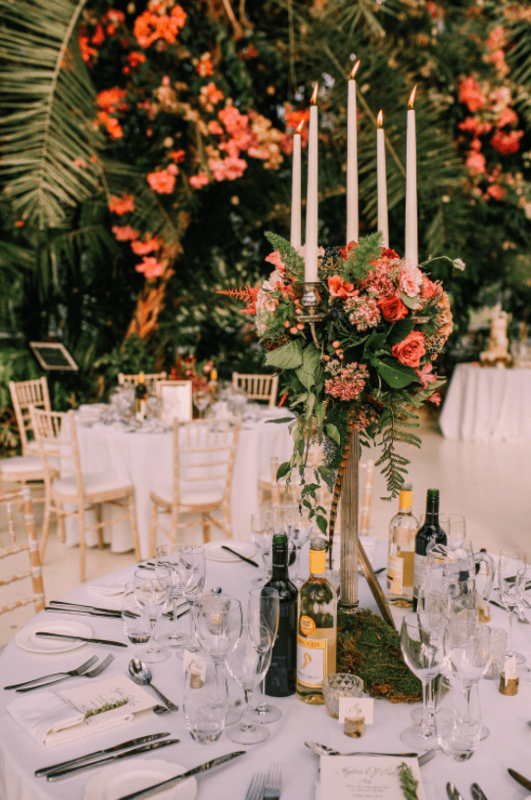 Get more of this chic wedding below!